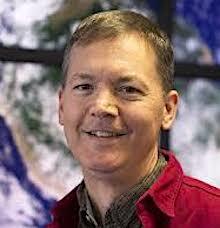 Read more about Katharine Wilkinson: "Drawdown: A Path for a Warming World"
Chris E. Forest is Professor of Climate Dynamics in the Department of Meteorology and Atmospheric Science at The Pennsylvania State University and joined the faculty in 2008. He is also currently affiliated wth the Department of Geosciences, an associate in the Earth and Environmental Systems Institute, and associate director for the Network for Sustainable Climate Risk Management. He served as a lead author on the report of the Intergovernmental Panel on Climate Change for the chapter on the evaluation of climate models and on a report for the U.S. Climate Change Science Program examining the estimates of temperature trends in the atmospheric and surface climate data. He was elected to serve on the Electorate Nominating Committee for the Atmospheric and Hydrospheric Sciences Section of the American Association for the Advancement of Science. Prof. Forest is currently the Chair of the Topical Group for the Physics of Cliamte for the American Physical Society (APS). His research focuses on quantifying uncertainty in climate predictions and their implications for assessing climate risks. He has a B.S. in applied mathematics, engineering, and physics from the University of Wisconsin-Madison and a Ph.D. in meteorology from the Massachusetts Institute of Technology.